Kentucky Downs and the Kentucky Horsemen's Benevolent and Protective Association have each pledged $5 per start at the 2018 Kentucky Downs race meet to go to the Thoroughbred Aftercare Alliance. 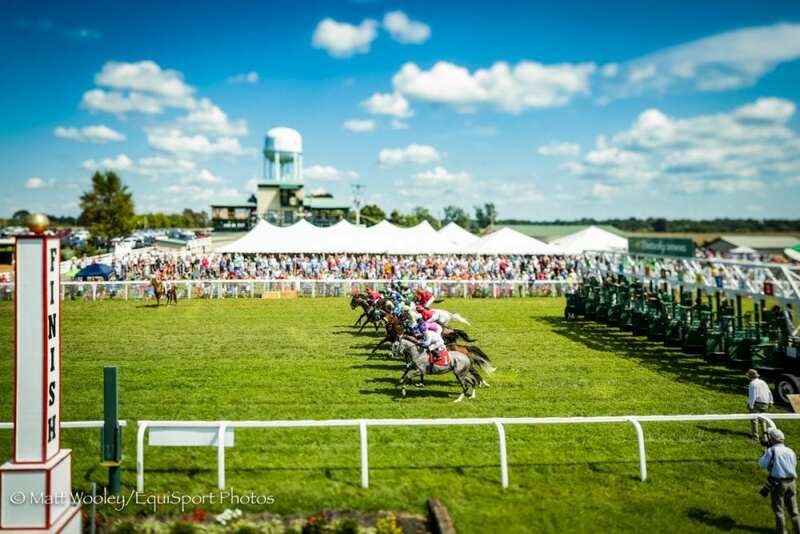 The 2018 Kentucky Downs meet runs five days: Sept. 1, Sept. 6, Sept. 8, Sept. 9, and Sept. 13. The TAA accredits, inspects, and awards grants to approved aftercare organizations that retrain, retire, and rehome Thoroughbreds. Currently 64 organizations hold TAA accreditation and receive funding from the TAA in the form of annual grants earmarked for equine care. “The Thoroughbred Aftercare Alliance is grateful to Kentucky Downs and the Kentucky HBPA for supporting our equine athletes. These funds will help the TAA support our 64 accredited organizations that retrain, rehome, and retire thousands of Thoroughbreds,” said TAA president John Phillips. Kentucky Downs president Corey Johnsen said the racetrack is proud to support accredited Thoroughbred aftercare. “As we celebrate Old Friends Day (Sept. 6), our foremost message is that Thoroughbred aftercare is the responsibility of every person involved in horse racing,” Johnsen said. “Kentucky Downs is proud of its role in this important program coordinated by the TAA, which accredits and helps fund so many excellent rehabbing, retraining, and retirement facilities for our former racehorses, including Old Friends. Kentucky HBPA executive director Marty Maline echoed the support for accredited aftercare. “Racehorses are good to us, and they deserve to be taken care of once their racing days are over,” Maline said. “The Thoroughbred Aftercare Alliance is the ideal mechanism to ensure our equine athletes go to good homes, whether it's being retrained for second careers, including as pleasure horses, or as classy lawn ornaments living out their days eating grass in a safe environment. This entry was posted in Horse Care, NL List and tagged corey johnsen, john phillips, kentucky downs, kentucky HBPA, Marty Maline, TAA, Thoroughbred Aftercare Alliance by Press Release. Bookmark the permalink.